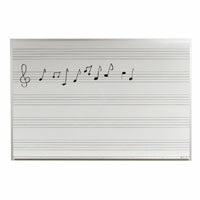 Our Music Lined Whiteboards are like blank sheet music pages blown up into a free-standing or wall-mounted format for band practice, voice lessons, or your music classroom. 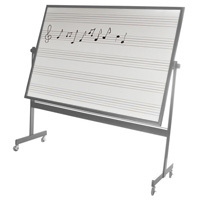 The pre-printed graphics and easy-to-clean surfaces enable conductors and instructors to comfortably write out and improvise arrangements on the fly in an easy-to-read format. 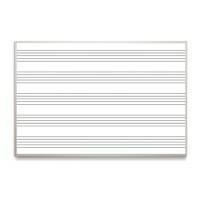 Pick the lined board that fits you best and get your band, choir, or class on the same page the first time, every time.